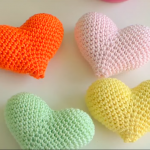 In today’s video tutorial you are up to learn how to make decorative heart amigurami, which is funny and easy to make. 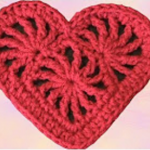 There are so many different ways you can use this this lovely heart. 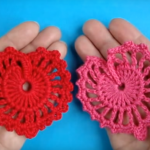 You can put lavender inside this cute heart and protect your clothes from damage or just for the good smell in your room. 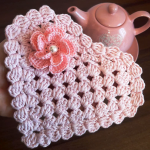 This is a perfect gift for Valentines day, also is nice decoration for wedding. 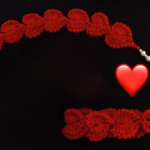 Can be used as embellishment for hats, scarfs, bags, blankets and so on. This video tutorial will guide you step by step, every detail is explained clearly so we hope you will enjoy your working process and spend your free time with use. You are free to choose and combine your favorite colors of yarn.